A car crash can be very traumatic for your body, which is why an auto accident chiropractor is so vital to your recovery. Some injuries might not present themselves right away, and existing injuries might get worse if left untreated. After you have been initially assessed and cleared by paramedics, the sooner you seek out chiropractic care, the better. Do not allow yourself to live in pain in St. Pete — contact us today to begin the healing process for your mind and body. Through gentle adjustments to the neck, back, and hips, your chiropractor can restore ideal nerve function. They can also relieve pressure on any pinched nerves or bulging discs, giving the injury a chance to heal. 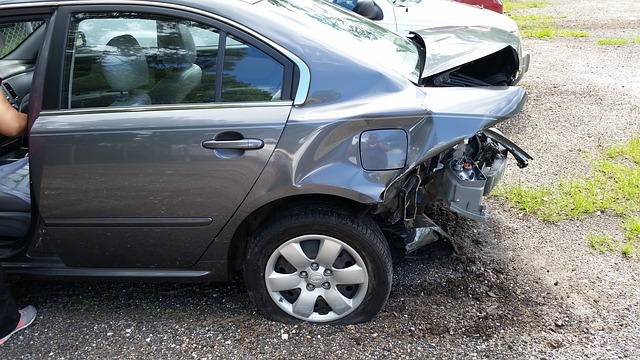 Chiropractic care is an excellent choice for treatment after an accident in St. Pete. It can help you return to your prior condition in a healthy and safe way. Another way that an auto accident chiropractor can be an asset during your healing process is that they provide natural stress relief. It is a benefit that is not talked about much, but regular adjustments and therapeutic massages are useful tools in reducing stress in the body and mind. Most people hold stress and anxiety in their neck, shoulders, and back. If you are one of these people and you are also involved in a collision in St. Pete, it can make your stress and pain even more severe. By choosing Reza Chiropractic as your treatment solution, you receive care that is focused on your mind and body. No time is more crucial to focus on restoring balance to your body than after a traumatic event like a car crash. If you are already suffering from any of these and then find yourself involved in an automobile crash, you might find that your condition worsens. Fortunately, an auto accident chiropractor in St. Pete can help you heal and return to better than before. Reza Chiropractic is passionate about helping people in the St. Pete area find a healthy and natural alternative to pain relief and traditional medical treatment. Dr. Ghassemi founded the practice and has been working in the community for over a decade. He found his passion for medicine after a sports injury caused him to rethink the way he cared for his body. He now shares that passion and knowledge as an auto accident chiropractor. To find out more about our extensive care options, call our office today at (727) 526-7700. You can also leave a message with any questions you have on our website, and we will respond as soon as possible.